Do you feel more awake when it’s dark? Is partying a way of life for you? Visit Europe sometime! No matter where we live, we all have our favorite party spots. But there are times when we desperately need a change. That’s when we head to the most popular party destinations on the planet. Out in a hunt for a promising party destination? Europe is never the one to disappoint. Many European cities have legendary nightlife that’s definitely worth checking out. It doesn’t get better than spending a few nights dancing and meeting a great new culture. Europe parties from evening to dawn. So where in Europe should you go? Here are the top five cities with the best nightlife. Partying through the night is customary in Barcelona. In fact, most of the parties don’t begin until 1 am. The city offers great variety in its party culture, so you always get the chance to try something new. Need classy parties with international DJs? The Catwalk Club awaits you. The Harlem Jazz Club is another great locale that welcomes you with live performances. The BLVD is the choice if you want to get a bit quirky, or just go with Macarena’s techno night. Otto Zutz is another great option dedicated to R&B and hip hop. Berlin welcomes party animals. It’s hard to find a party culture as intense as it gets here. The city amazes you with beautiful museums and yummy restaurants throughout the week. Come the weekend, you see an exceptional surge of party people. Berghain, the famous power plant turned club, blows your mind with its blasting electronic music. About Blank gives you a couple of dance floors and a huge garden with secret bungalows playing exclusive music. Don’t want to spend a lot? Rosi’s Club will be economic yet fun. Alternatively, you can have fun at one of the recurring parties at the Stattbad Wedding. Amsterdam isn’t about very wild parties. However, the nightlife here isn’t any less bold. On weekends, bars stay open until 4 a.m., and cafes are open all night. You can dance your nights away here. The Warehouse Elementenstraat is the place to go for techno and EDM. Sugar factory is more of a private venue with dim lights and all red curtains. 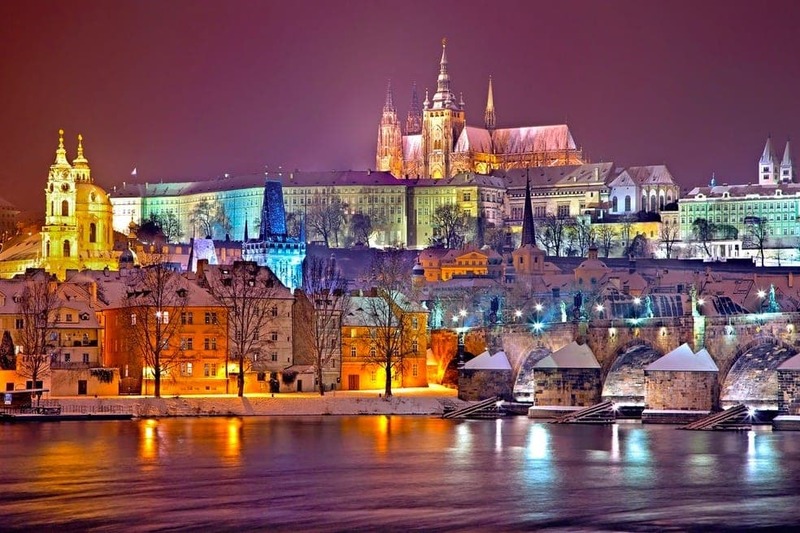 Prague, the City of a Hundred Spires, is quite alive at night. Nightlife here can be a blast without spending huge. You pay no more than $5 cover at most places. The Karlovy Lazne Club is the largest club around. It has five stories, each with a different themes. The U Sudu is an astonishing cave-like bar, with great prices. Copenhagen is really serious about its party game. The place is popular for its morning bars that open from 3 am to 10 am. This is where you find the true party animals. Scandinavia is an amazing place to go out, with great food and drink. If you’re on a budget, ask the friendly Danish people about some cheaper options. Christina is the city’s free zone, and is just mystic.